Ronnie O’Sullivan beat Robert Milkins 4-0 to reach the last 16 of the Ladbrokes World Grand Prix at Preston Guild Hall. After a closely contested first frame, O’Sullivan took the second with a break of 119 before completing his third career whitewash of Milkins. Yan Bingtao twice came from a frame down to beat Martin Gould 4-2 and sealed victory in style with a break of 122. 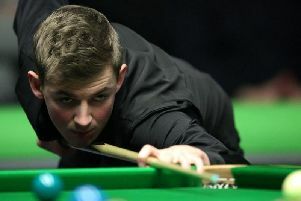 Michael Georgiou, who won the Shootout title a fortnight ago, beat Luca Brecel 4-0 while Jack Lisowski beat Ryan Daly 4-3.